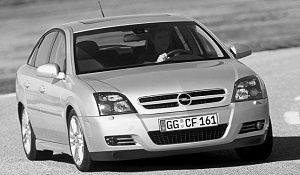 We are driving back to the office from a successful shopping trip to a local hardware store, four of us riding in a Škoda Octavia Estate. They say Hungary's economy is in a bad state nowadays but our surroundings make a good struggle at proving us otherwise. Waiting patiently at an infamous intersection where it's nearly impossible to turn left we pass the time by checking out the cars driving along – and we are feeling increasingly uncomfortable. You see, there are BMW's everywhere we look. There's an E60 5 series sedan speeding past us, a three-litre Z4 waiting alongside us, an E60 M5 Touring somewhat further down the road, and to top it all off, a real beast, a 500 PS E65 Alpina B7 with light blue livery and the typical zillion-spoke alloy wheels. As the lights finally turn green there is a brand new 5-Series Touring turning left and blasting off towards affluent neighbourhoods. 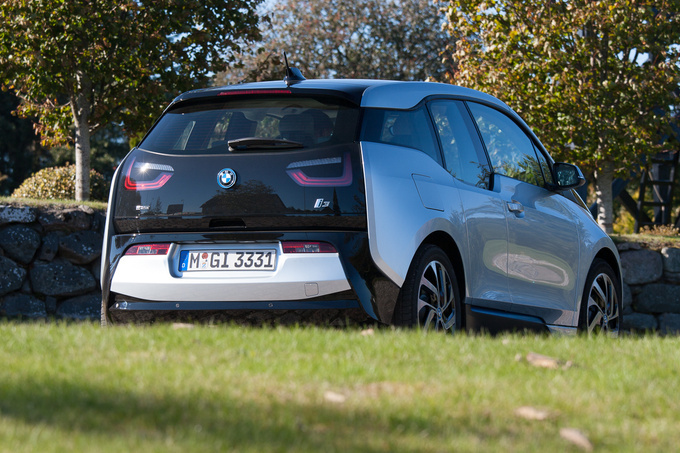 It was a moment of reality, desire, reason and sobriety conflicting within me and I just cannot imagine how these powers would not pulverise something as tender as the electric i3 I drove in Denmark as part of the annual Car of the Year mega-test. I hear you saying it would be protected by its carbon body – but we are talking about a low cost material supplied by American specialist SGL Carbon, not the high-end stuff used to build the extremely strong chassis of race cars. Lifestyles, needs and tastes change dynamically – after all, just a few years ago we could not have fathomed a front-wheel-drive BMW and now they have the new 1-Series in the pipeline. I don't consider myself an old man, my adolescence seems like it has just happened recently but, back then, if someone had mentioned the words BMW and diesel in the same sentence as we were collectively discussing our dream cars after school he would have got a serious wedgie or worse for his heretic views. In my parents' heyday even the thought of an automatic BMW would have been considered comme il fault. So much for being conservative and going against new solutions. The world changes and, once in a while, great things come out of it, even if they seem silly at the beginning. Despite the unreal meeting with the Alpina B7 and the M5, my mind is dead set on the little i3 with its strange shape, weird materials, odd wheels and unconventional driveline. The whole car is very – ahem – metrosexual. Just yet! But mark my words: we will soon adapt to this apparition. Smart grew to be widely accepted which is a great progress considering that when driving the first generation model, I was confronted by a bouncer type with shaven head who, from behind the steering wheel of his BMW, used universal sign language to tell me what he thought of my sexual orientation. This could not happen today. 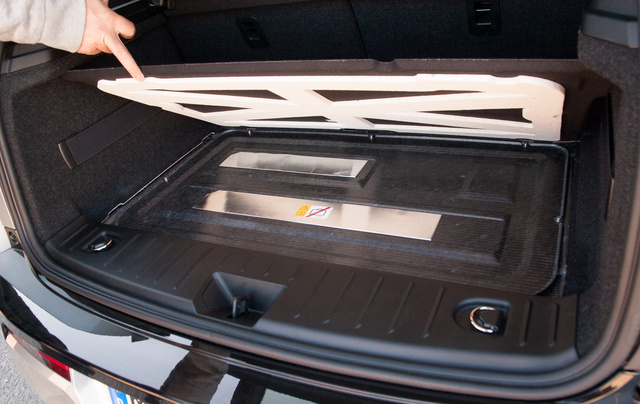 The main problem with electric cars is that, after you remove the IC engine, suddenly there is too much space inside. Sure, you need to find a place for the batteries but nowadays those are located way down along the floor, giving you the bonus of a low centre of gravity. The electric motor itself usually takes up no more space than the gearbox in a regular car. All of a sudden you can start playing with all sorts of shapes. You are not bound by having to have a radiator in the nose section. Heck, you don't even need a nose section. There is no exhaust, no driveshaft tunnel: the only things limiting the imagination of designers are aerodynamics, the four wheels and pedestrian protection regulations. 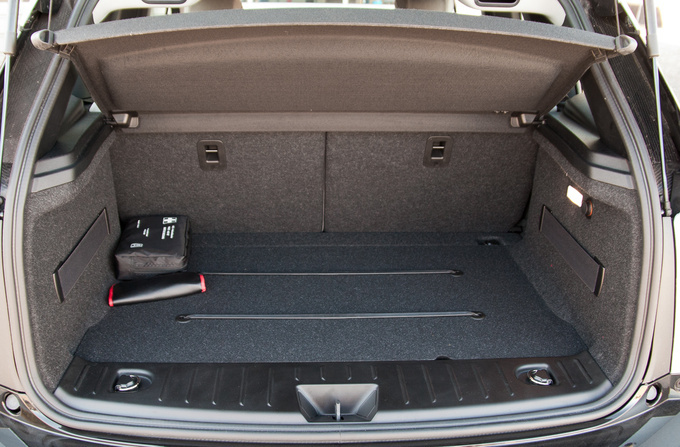 Tesla has used their freedom of space to add two extra seats in that gigantic boot, and to create another boot up front. BMW has also added a small compartment in the nose but they decided to go down an altogether different lane. 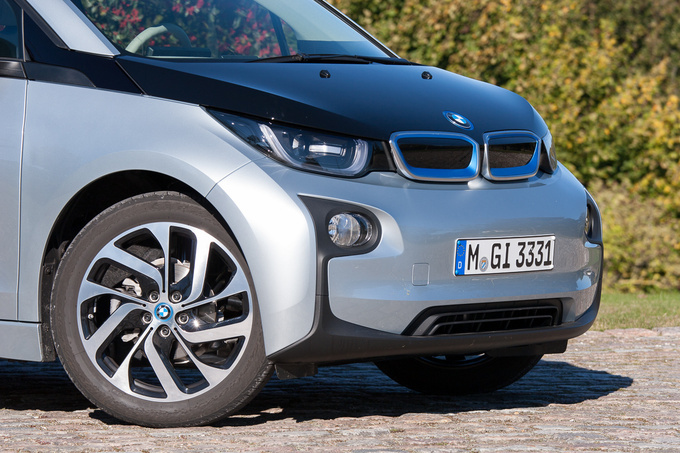 The i3 is stubby, boxy and tall, it's like a Lego block designed by Italians. Its specific ratios make it look a lot smaller than it actually is – four metres, roughly the size of the first generation modern Fiat Multipla – and that car had room for a 1.9 diesel as well as six passengers. 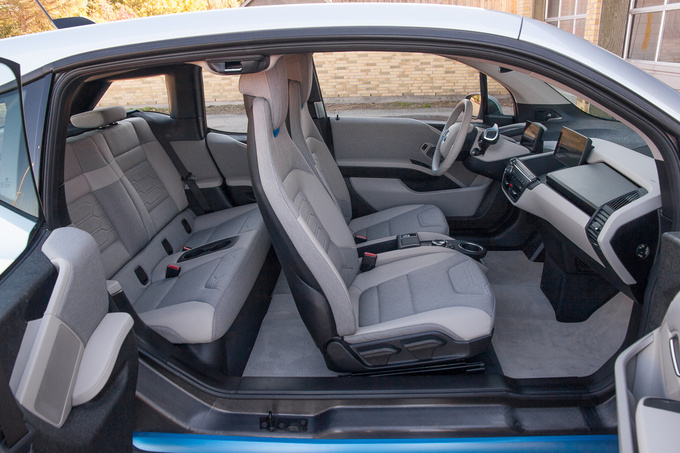 We can safely say the i3 is pretty spacious but it deserves no special praise, this is the least that can be expected. 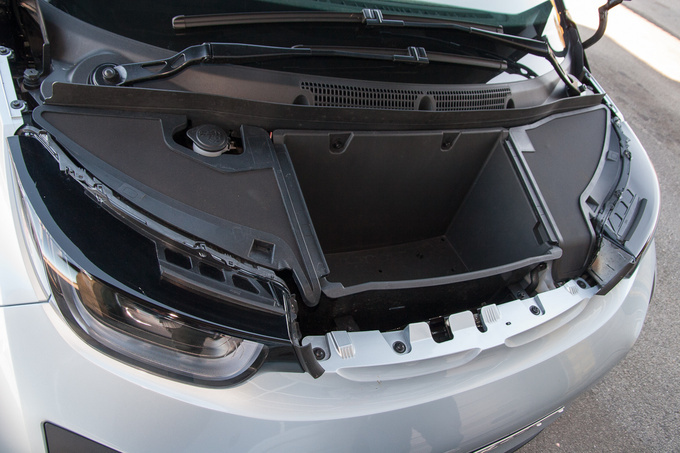 There is a bit of storage room in the nose and slightly more in the back (although not much, since the motor is located here), and connecting these are a carbon fibre body and a chassis containing the batteries. Entry through the vast front doors is easy, but the rear doorlet, opening in reverse like on the Mazda RX-8, demands some flexibility of the prospective passengers. Once you are inside, though, it is pretty comfortable. There is no B-pillar which is alright because the body is stiff enough without it. A few technical details. Down below you have the lithium ion battery pack, made by Samsung. 230 kg, 22 kWh capacity. 96 cells, each replaceable individually. The battery comes with a 6-year / 100 000 km warranty. The electric motor is located in between the rear wheels with a peak power of 125 kW / 170 LE and a maximum torque of 250 Nm. As an optional extra you can specify a range extender: this is a two-cylinder, 26 PS internal combustion engine that comes from the BMW C650 scooter and is installed alongside the electric motor in the back. Our test vehicles did not sport this option, it was solely electric. Charging takes a long time: you need to have your car hooked up to your garage outlet for eight hours. This is fine if you live on a regular schedule but anyone with a less organised lifestyle, wishing to charge it wherever and whenever, will run into difficulties. If you are one of these decidedly un-German people but still live in a civilised country within the EU you will find rapid charge points with 50 kW outlets that take your i3's batteries from nil to 80% in half an hour – plenty enough for most typical routes. Anyway – we have discussed the interior, the exterior and the technicalities before, now it's time for me to tell you what it is like to drive this thing. 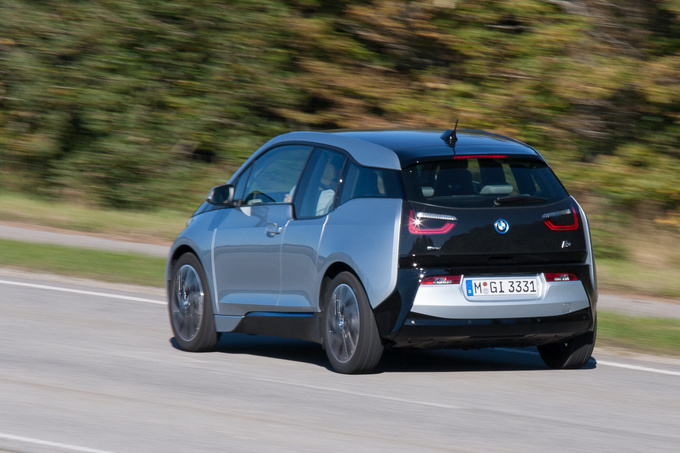 Sure, there have been journalist rides in BMW i3s, such as the indoor shuttle vehicles at this year's IAA, but until very recently there have been no actual, proper drive reports on the car. The reason is, there was a strict embargo on publishing first hand impressions. Whether BMW were trying to cover up some deaths related to unexpected electrical fires or attempting to establish a lap record on the Nordschleife we may never know. 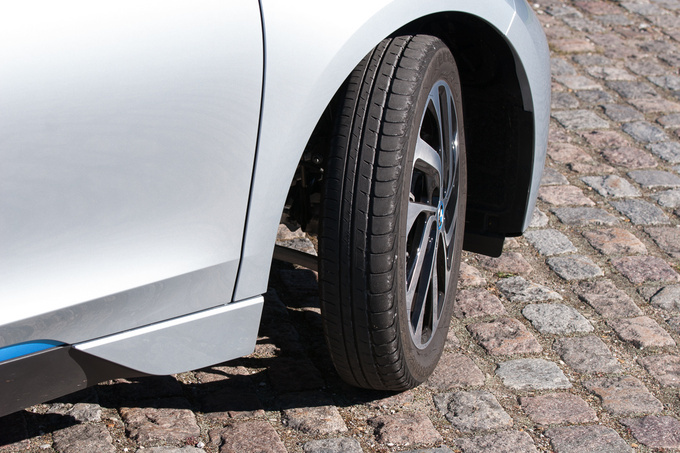 What we do know is that the car we drove at the Tannistest in Denmark was darn near production specification. You may ridicule the weird wheels, lament over the lack of a smooth running in-line six, criticise the high seating position, but at the end of the day, you are sitting behind the steering wheel of a proper BMW. Remember how much better it felt carrying your kids on your shoulders when they were, say, two years old, as opposed to five? Or, if you don't have any children, try to visualise running to catch a train with or without a fully loaded backpack. Cars feel the same way about this, whether driven by petrol, electricity or steam. 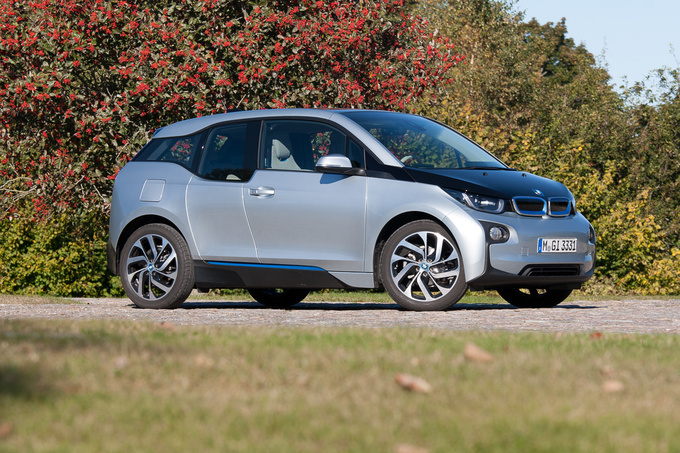 The total weight of the i3 is no more than 1.2 tonnes, including the battery pack – a full 100 kg less than the 114i. 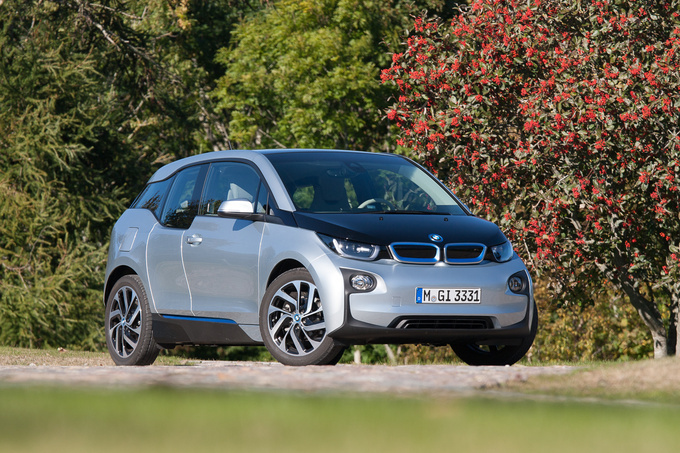 Add to this that the i3 has about one and a half times the power, and a virtually unlimited supply of torque, and you can imagine how the car drives. Light and powerful – yup, it drives well. No, better than that. There is a complete lack of engine noise – not even the trolley bus whine you'd expect – so, you don't actually realise how swiftly you reach 100 kph. There is utter peace, except for one thing. For some odd reason you experience breathing difficulties for about seven seconds. Without an internal combustion engine there are no fireworks of course but for getting around and ahead of various objects on the road, whether moving or stationary, this is one brutally efficient tool. It's spacious, silent as a graveyard, as unique as it gets, it accelerates like a sports car but without drawing unwanted attention, and while we received the car with only partially charged batteries (we drove it in the afternoon) it still had enough juice in it for an entertaining drive. 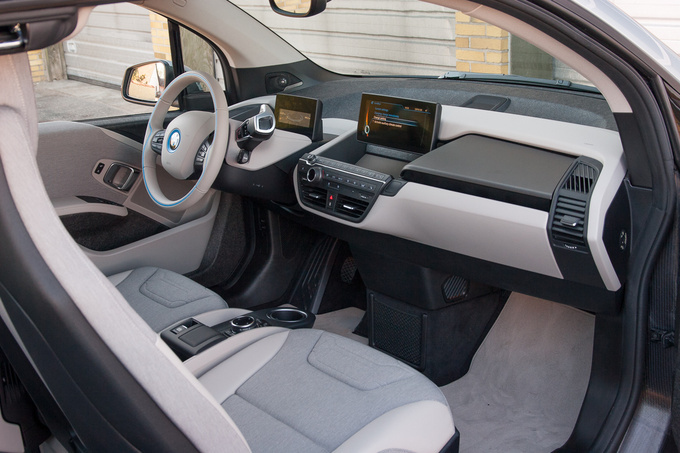 The i3 is not only for people who are happy to see a BMW e-car; it is also an interesting option for those who find it intriguing despite the fact that it does not have an internal combustion engine. Let me just add that driving the i3 was a pleasant change after the gritty 420d. And this whole package costs... ahem... well, between 25 and 35 thousand Euros, depending on the level of incentives your government has chosen to support e-mobility with. Based on the insatiable greed of our political systems, regardless of who's in power, we'll need to go with 35K for our part. Unless you consider M-versions this car is more expensive than any 1-series model; even the top-of-the-line 125d is cheaper at about 33.500 (base specs, manual box), so we'll stick with that for comparison.